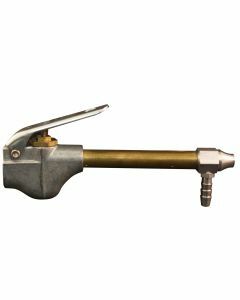 Keep your workshop, engines, gutters, and/or other desired areas clean with this Turbo siphon spray-cleaning blow gun, using compressed air with water, solvent cleaners, or liquids of your choice to clean heavier soiled surfaces and remove other unwanted messes. 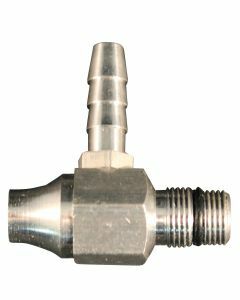 This versatile air tool can also be used to apply protective coatings or even remove grease, dirt, grimy sludge buildup in engines, and makes an essential tool for truck drivers, shops, garages, farming/agricultural and industrial use. 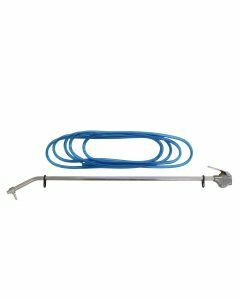 Air inlet offers maximum flow for easy clean up and blowing off heavy shavings and chips to messy gutters. Meets OSHA standards 1910.242(B) compliance.